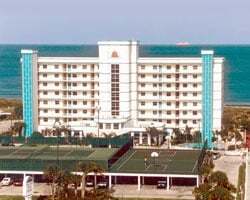 *Discovery Beach* is a 5 star resort located right on the Atlantic Ocean! Unit features 2 balconies that overlook the Atlantic Ocean as well as Kennedy Space Center Launch Pads. Cocoa Beach fishing pier is just a short walk down the beach. Many fine restaurants and shopping facilities are close by as well. Disney World Resorts are 50 minutes west and golf courses are close by and plentiful! World famous **Ron Jon Surf Shop** is nearby as well as fishing charters, site seeing tours, and gambling on the Sea Escape Cruise Line. The resort is very well maintained with tennis and basketball courts on site, and every other amenity available to meet your needs. Prime location to the beach and many other attractions! Week 22! Buyer may receive a title fee credit, inquire for details! Stunning beachfront resort located in Cocoa Beach! Week 8! Clear title! Buyer may receive a title fee credit, inquire for details! Great week for enjoying the very best of Cocoa Beach! Just steps from the beach! Buyer may receive a title fee credit, inquire for details! Prime location right on the beach! Many onsite activities for all ages! Week 11! Inquire for details! Price Negotiable!!! Motivated Seller! Come enjoy peaceful and relaxing vacations! Beautiful location on the famous Cocoa Beach! Week 48! Bring all offers!! Prime location righto on the beach! Annual week 1 usage! Buyer may receive a title fee credit, inquire for details! Annual week 18! Start creating unforgettable memories! Buyer May Receive A Title Fee Credit, Inquire For Details! Red season week 7- week can also float! Enjoy being just steps from the beach! Buyer May Receive A Title Fee Credit, Inquire For Details! Prime location on the beach! Buyer May Receive A Title Fee Credit, Inquire For Details! Resort features many onsite activities for all ages to enjoy! Buyer May Receive A Title Fee Credit, Inquire For Details! Prime season week 48! Seller will include 6 tickets to Universal Studios, a $740.00 value!! Buyer May Receive A Title Fee Credit, Inquire For Details! Price reduced! Incredible location on a white sand beach! Buyer May Receive A Title Fee Credit, Inquire For Details! Break up the winter doldrums with a week 5 vacation each year in sunny Cocoa Beach! Make an offer today! 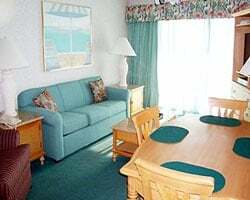 Lovely seaside getaway on famous Cocoa Beach! Make an offer today! Beautiful location in southern Florida! All ages are welcome! All reasonable offers will be considered! Inquire For Details! Great week for enjoying this fantastic resort in Cocoa Beach and the local attractions! Buyer may receive a title fee credit, inquire for details! 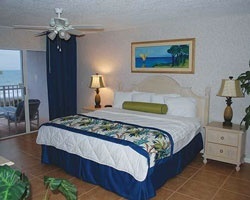 Great resort located on a beautiful white sandy beach! Even year week 48! Buyer may receive a title fee credit, inquire for details! Beautiful location in Southern Florida! Buyer may receive a title fee credit, inquire for details! Start creating unforgettable memories! Great family resort! Week 47! Buyer may receive a title fee credit, inquire for details! Beautiful location in Southern Florida! Floating week! Buyer may receive a title fee credit, inquire for details!